Spam-a-lot - Who comes up with this stuff? And my September 2013 Best of the Bunch winner is . . . I really loved/hated (loved to hate?) the misogynistic world that Falor created for You Are Mine and I am definitely looking forward to reading her next book. I just posted a cover reveal and giveaway for Mine to Tarnish (even though I very rarely post cover reveals) because I loved the first book so much! Summary: Serena knows a few simple things. She will always be owned by a warlock. She will never have freedom. She will always do what her warlock wishes, regardless of how inane, frivolous, or cruel it is. And if she doesn’t follow the rules, she will be tarnished. Spelled to be bald, inked, and barren for the rest of her life—worth less than the shadow she casts. So, what was your best September read? Summary from Goodreads: The hotly-anticipated sequel to the New York Times bestseller The Selection. I was looking forward to reading The Elite, but also a little leery of it based on how The Selection ended. Once America decided to lie to Maxon and not tell him that Aspen was the boy who broke her heart, I knew it spelled trouble. I'm Team Maxon all the way and I have to admit that America's actions toward him bothered me more than a little. Still, I was hopeful that she might redeem herself in The Elite. Unfortunately, I was a bit disappointed. America (and Aspen). Like I said, I'm Team Maxon. Even more than that, I'm Team Honesty, Integrity, Don't Cheat on Your Pseudo-Boyfriendy. Okay, yes, because of the whole Bachelor-like premise of the book, Maxon was seeing other people and maybe you could argue that America should be able to do the same. Except she wasn't being honest with Maxon and she knew that what she was doing was just plain dangerous and wrong (since she had agreed to the terms of the Selection). Her inability to choose between Aspen and Maxon made her just string them both along. In fact, at some points, I wondered if Maxon would have been better off if he just chose Kriss (in fact, I'm still kind of wondering that). I really WANT to want America and Maxon together, but this book just made me so aggravated with America and her petty childishness (not just regarding the love triangle, but in so MANY ways) that I kind of felt like maybe I'm Team Maxon, but not Team America. I will say that America redeemed herself slightly by the end of the book and I have hope for the next book, but she definitely didn't completely win me over in this one. The girls. I loved the dynamics between the girls in this book and that we got to learn a bit more about each of them (those that were still there). I also liked that the book showed some of the problems and jealousies that occur in a situation like this (a la The Bachelor). The revolution. 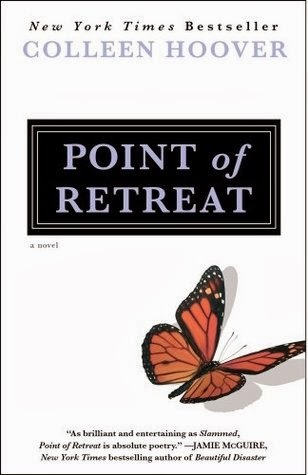 I liked that the revolution and the social issues in the book took a bit more center stage in this book. I'm definitely more curious about what will happen with the revolution now than I was in the first book. This book focused a bit more on the fact that the winner of The Selection will actually have to help lead the country and gave us some insight into what that means. Is America up to the job? I hope so! The ending. Like I said, I definitely had more hope for America at the end of this book. I am cautiously optimistic that she will grow up a bit and start to understand that her actions affect other people as well as herself (and that she'll stop going back and forth between Aspen and Maxon - please!). 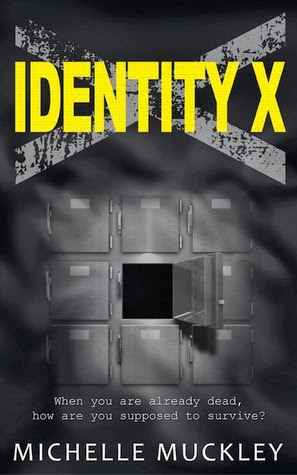 I think that the premise that has been set for the third book could be really great - hopefully Keira Cass will follow through and the third book will be a winner! 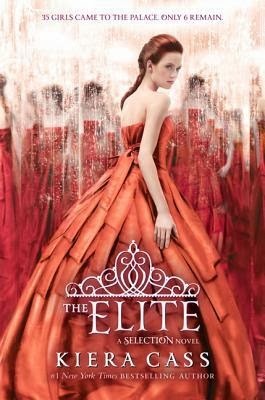 While I didn't exactly dislike The Elite, I can't say that I loved it either. But I have definitely not given up on this series and I am still anxiously awaiting book 3. Hopefully it will bring the series to a satisfying end! 3/5 stars. Embrace and Hold Tight by Cherie Colyer (excerpt & giveaway) - Still time to enter to win a $20 Gift Card! Kinetic by S.K. 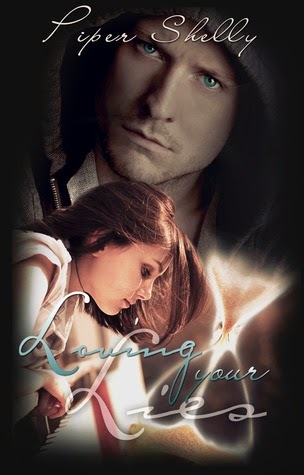 Anthony (excerpt & giveaway) - Still time to enter to win a copy of the book and a $25 Gift Card! 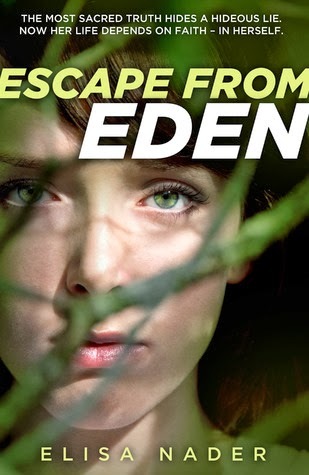 Escape from Eden by Elisa Nader (review & giveaway) - Still time to enter to win an awesome prize pack! Spam-a-lot (Let's Discuss) - A fun discussion about spam comments! 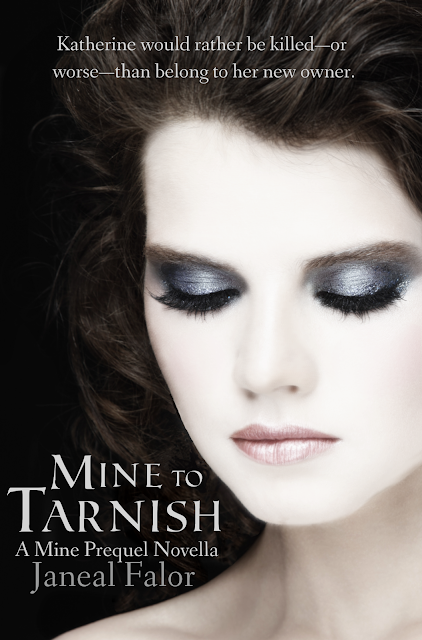 Mine to Tarnish by Janeal Falor (cover reveal & giveaway) - Still time to enter to win a copy of the book! 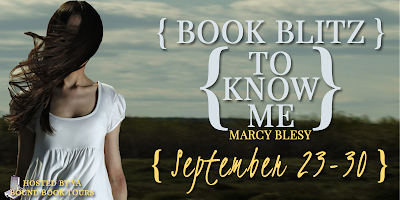 To Know Me by Marcy Blesy (excerpt & giveaway) - Still time to enter to win a copy of the book! Scars of the Bifrost by A.J.M. Mousseau (excerpt & giveaway) - Enter to win a copy of the book and a $25 gift card! Clean Teen Publishing - Enter to win $100 in Amazon Gift Cards! 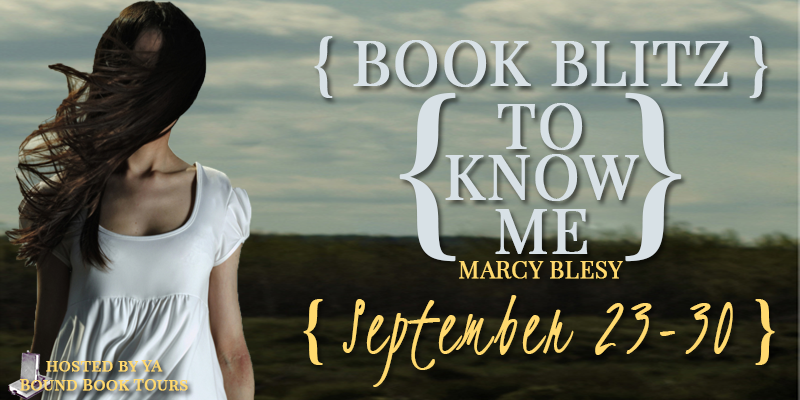 September Madness Giveaway - Giving away TONS of books - 219 giveaways! 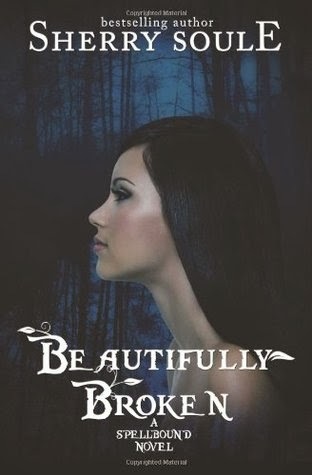 Not Pretty Enough by Jaimie Admans - Enter to win a $40 gift card! The Intimate Moment of Us by Lauren Myracle - Enter to win a copy of the book over at The Book Girl Reads & Reviews! Bang by Lisa McMann - Enter to win a copy of the book over at On Starships and Dragonwings! Summary from Goodreads: "One woman's story as she blogs - and fights back - the zombie apocalypse"
Allison Hewitt and her five colleagues at the Brooks and Peabody Bookstore are trapped together when the zombie outbreak hits. 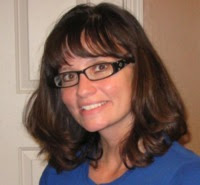 Allison reaches out for help through her blog, writing on her laptop and utilizing the military's emergency wireless network (SNET). It may also be her only chance to reach her mother. But as the reality of their situation sinks in, Allison's blog becomes a harrowing account of her edge-of-the-seat adventures (with some witty sarcasm thrown in) as she and her companions fight their way through ravenous zombies and sometimes even more dangerous humans. 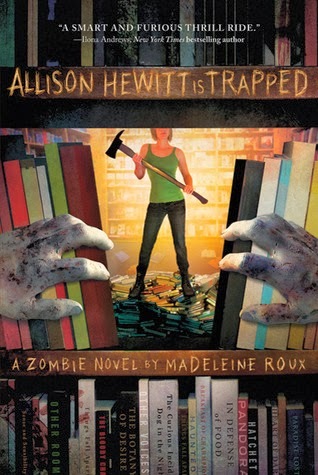 I really loved the concept of this book - I mean, a woman blogging during a zombie apocalypse? What could be cooler than that? Even better - the book totally lived up to its cool concept! I actually originally saw this book reviewed on another blog and had to pick it up because Allison and I share a last name - obviously it was meant to be! Thank you, blogger who introduced me to this book (wish I could remember who it was). 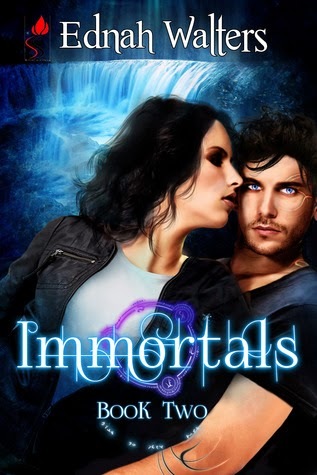 I did not want to put this book down (even when I had lots of other things I should have been doing) - I needed to know what was going to happen to Allison and company! Didn't always sound like a blog. Okay, so the only issue that I had with this book was the fact that the blog didn't always read like a blog to me. The story was told in a narrative style that sometimes just read like a regular book (with dialogue embedded, etc.) and I found myself thinking, "Is this what it would sound like if someone was blogging about her experiences?" To be fair, I don't think the book would have worked that well if it wasn't told in this style, so I can't complain much. Oh, and one other thing about it being a blog that bothered me was that I was sometimes confused about the dates - a few times Allison was telling about past events (when she had missed a few days of blogging) and I was confused about when we "caught up" because the dates seemed to coincide with when she was writing, not necessarily with when things happened. (Then things would be synced again - like her description of Halloween was on Oct. 31st). This was a minor issue, though, that I let slide because I was enjoying the book so much. The comments. Like I said, I loved the concept that this was being written as a blog and I thought it was really fun to read other people's comments at the end of each blog entry. Not only was the concept interesting, but it gave us insights into what was happening in the rest of the world during the zombie invasion. The danger and the high stakes. This is a zombie novel. Really, everybody shouldn't just live happily ever after. And, well, they don't. In this book, you don't know who will live and who will die (including Allison herself). Even with the humans, you don't know who should be trusted and who will just go whack-o crazy and crack under the pressure of the apocalypse. 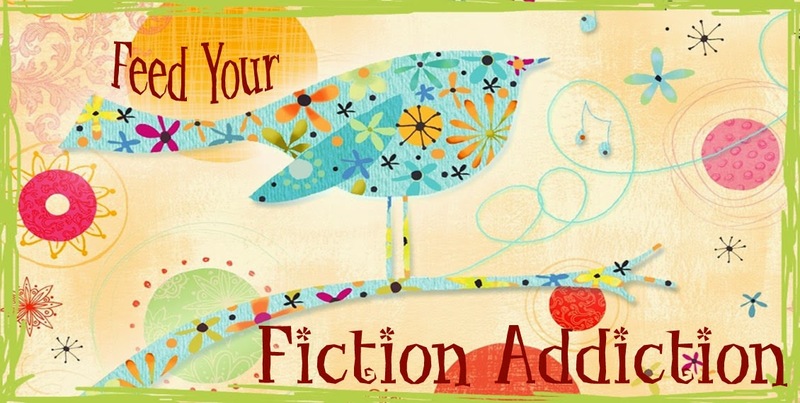 I will warn you now - characters you love will die, characters you were so-so about will die, characters you weren't so crazy about - yep, some of them will die too. Zombies are equal opportunity killers. And once the action picks up (about a quarter of the way into the novel), it doesn't let up. I was constantly wondering what would happen to my favorite characters next. Like I said before, I didn't want to put the book down. Allison. 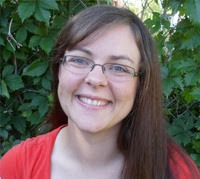 Thank you Allison Hewitt for living up to our last name! Allison is one of the best female heroines I've run across in quite awhile. She is by no means perfect - in the face of the zombie apocalypse even she does some morally questionable things (but she realizes it and questions it all right along with us). Still, Allison is a take-charge, natural born leader who also happens to be incredibly brave and smart and pretty witty as well. Can't ask for much more than that! 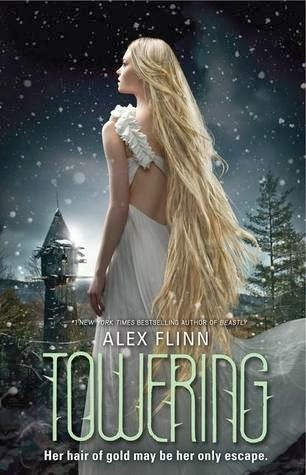 In case you hadn't noticed, I LOVED this book! Hang on tight while you face the zombie apocalypse - and be prepared for one crazy ride! 5/5 stars. 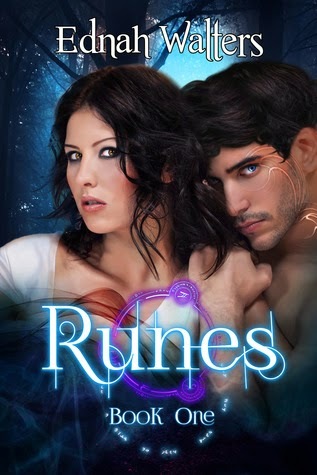 I don't usually post cover reveals (just because they don't excite me all that much unless the cover turns out to be beautiful - which you don't know ahead of time), but I really loved You Are Mine, so I was happy to participate in this one! So, what do you think? Do you ever read through the spam comments that you get on your blog? They can be pretty frustrating, but they can also be a source of great entertainment! I mean, really, who do they think they're fooling? Since those poor spammers never get a single reply, I thought I'd take a sampling of my spam and respond to their comments here. It's only fair, right? First, we have the insulting spam. Is this supposed to get my attention? I guess it worked. The least you can do if you're going to spam me is praise my wonderful work! And then there are those spam comments that are just downright weird and confusing! Ah, the joys of spam. Since I've moved to CommentLuv, I don't get much of it anymore, but the ones that slip through (on old posts) are so much fun! Who needs books? I should just start reviewing spam! So, how about you? Any good spam lately? Don't keep it all to yourself! Please, share! This post is being linked to the Let's Discuss blog hop over at Oh, Chrys! and The Fiction Conniption! Come join us for some fun discussions!